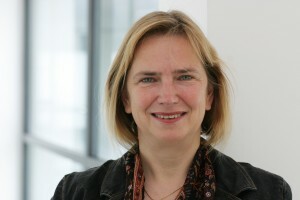 Adelheid Feilcke-Tiemann is the Director of International Relations at Deutsche Welle, Germany. In 1981, she started her journalistic career as a print editor. She also worked as a journalist for regional and national radio stations like WDR and Deutschlandradio. In 1992 she joined DW and became the founding head of the Albanian Service. She is an experienced reporter and editor on crisis and peace journalism. She has worked as a trainer for DW-AKADEMIE since 1995. She studied Cultural Anthopology and obtained her master’s degree in Ethnomusicology in 1990 and a second degree in Cultural Management in 1993.